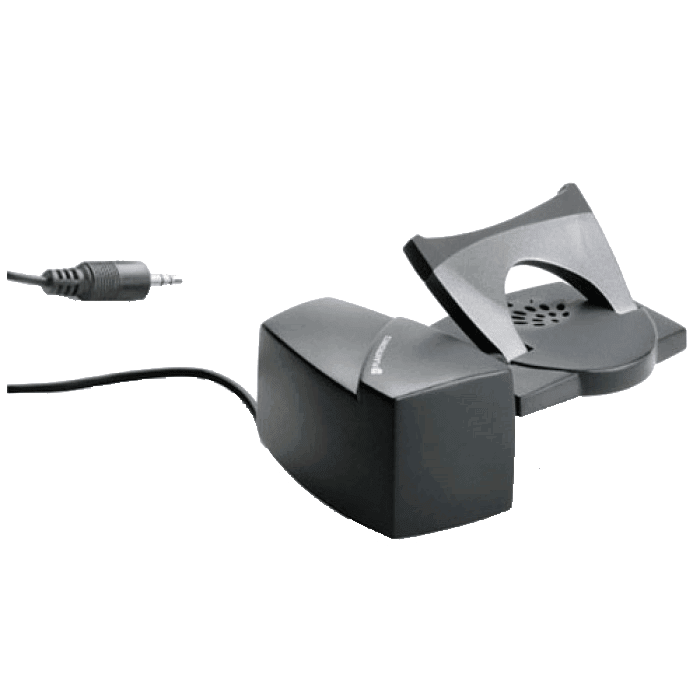 Plantronics HL10 Handset Lifter - 60961-35 - Headsets Direct, Inc.
With a push of a button, the Plantronics HL10 Savi/CS500 Series Handset Lifter will automatically lift your handset for you. 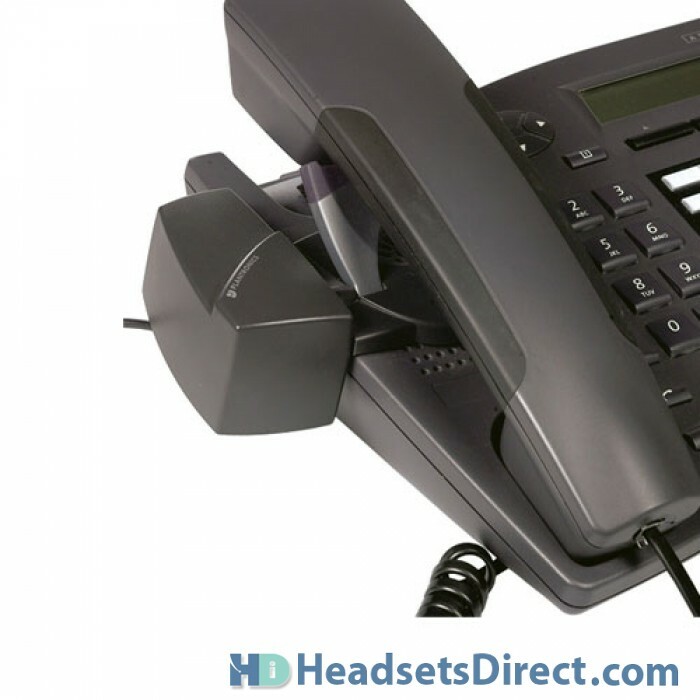 For wireless products, this allows you to answer and hang-up calls remotely. Auto pickup of a ringing line needs to be supported by your phone for this function to work. 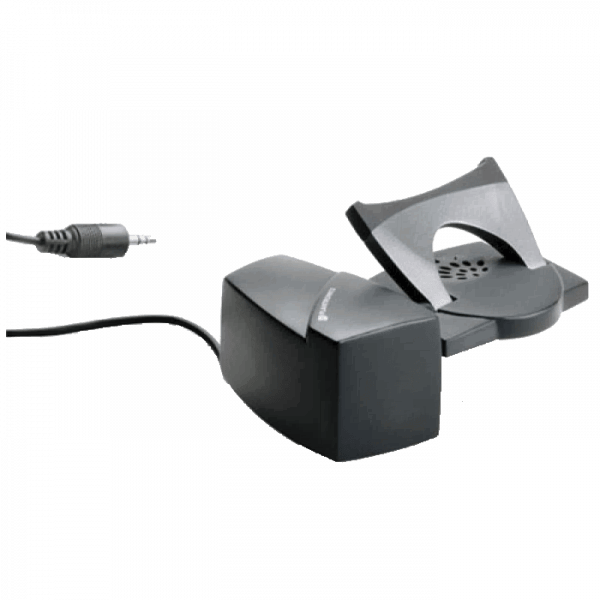 The Plantronics HL10 Savi/CS500 handset lifter is compatible with most phones but you should also check the compatibility of an Electronic Hookswitch (EHS) cable which will also allow for remote answer/hang-up but is designed for specific phones. It really works! Now I can answer my phone by just clicking on my headset. Efficient and reliable. Easy to install on a Cisco VoIP phone. Integrates perfectly with the Plantronics wireless (“It’s wireless. How difficult can it be to NOT install a wire?”) headset. I don’t think it took 5 minutes to read instructions and install this lifter. It works flawlessly. Ok, but handset falls off when lifted. We tape a piece of foam or cardboard to the cradle so the handset doesn’t fall onto the desk when the lifter and headset is activated. Great accompaniment to the CS530. Makes work area more efficient for the employee. This was purchased along with the Plantronics CS530 headset. This made it work so much better for him. This was an older Sprint handset so had to use this instead of a cord. Reading the instructions, I thought it would be more complicated to install, but it was very easy and intuitive. I also watched the Headsets Direct You-Tube video tutorial just to be safe. It works great, just as intended. Have not had any problems. It is very helpful to be able to answer the phone from anywhere and not miss calls rushing to the receiver. It works fine as long as the phone is not on a phone holder at an angle. 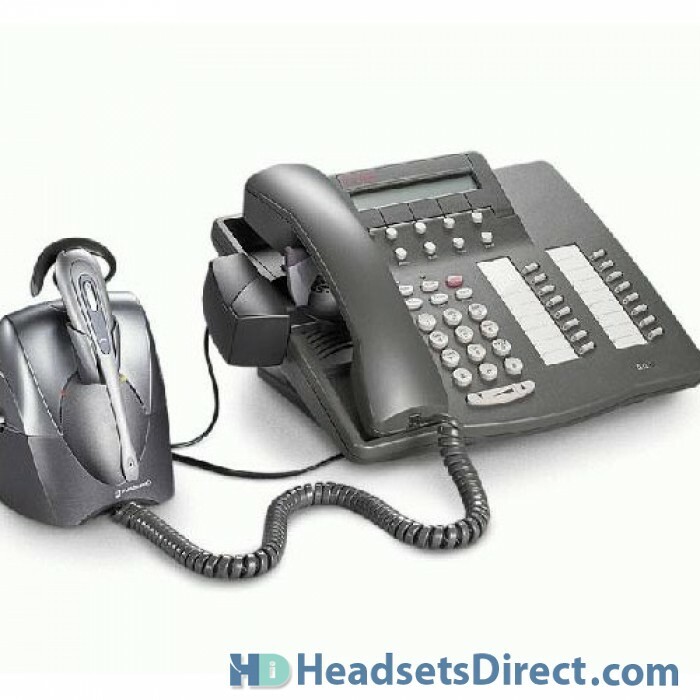 The headset on the phone is heavy and it was not allowing it to work properly till I laid the phone flat. It also appears to working fine like I said I have only had it for a short time.